The violinist Sarah Chang is no stranger to London audiences but her recital at Cadogan Hall (13 February 2019) will only be her second chamber music recital appearance in the city, as she and pianist Ashley Wass perform Bartok's Romanian Dances, Brahms' Violin Sonata No. 3 and Franck Violin Sonata. When I met her yesterday, just before she started rehearsing, she commented that she has been performing in London since she was nine years old, and her only other chamber music recital here was ten or fifteen years ago. In fact, Sarah does not perform as much chamber music as she would like, over 90 per cent or her engagements are concertos. Happy to be back in London, Sarah was looking forward to performing a programme of music which means a lot to her. She loves both the Brahms and the Franck sonatas, finding them profoundly beautiful and comments that it was Jacqueline du Pre's recording of the Franck (in a transcription for cello) which first moved her and which she still treasures. For the opening work she wanted something a little bit different, and chose Bartok's Romanian Dances, creating a programme which she feels is both fun and intellectual. Whether playing concertos or chamber music, the core of Sarah's repertoire is late 19th and early 20th century music, essential Romantic. When I suggest this to her, she laughs and admits that she is a Romantic at heart. Concertos by Tchaikovsky, Sibelius and Brahms are the bread and butter of what she grew up with, works which tug at the heart strings. The sonatas by Brahms and Franck which she will be playing at Cadogan Hall are in a similar vein, but for Sarah the performance will be very different because in chamber music you are far more exposed, rather than having an orchestra on stage there is just you and your duo partner. Yet playing chamber music also enables her to play in a different way. There is no longer the need to power over the orchestra, and she can fine her tone right down. Playing with a duo partner she can be as delicate and as intimate as she wishes to be. Both the Franck and Brahms sonatas have huge piano parts, and Sarah points out that their title pages refer to a sonata for piano and violin. So, her duo partner makes a huge difference to the performance. Whilst Sarah plays with a number of different pianists, she has performed with pianist Ashley Wass for a long time (the two performed together at Carnegie Hall in 2007), and she loves the sensitivity of his playing. It is different every night, Ashley plays off what Sarah gives him, then she is able to answer that, and she feels they communicate as if by a telepathic wave. In fact, when she made her Carnegie Hall recital debut, she asked for Ashley to be her duo partner. Having started playing the violin at a very young age, Sarah has had a 30-year career despite still being under 40. Yet she still enjoys performing and loves the rehearsal process, commenting that it is different every week. What she now does not love is the travel, the perpetual jet-lag and the airports, the need to struggle with what the time is in your body (as opposed to the official time in the country where you are). But she has grown up with the pros and cons of travel and accepts it as a necessity for her career. When we speak, she had recently arrived from Istanbul, and prior to that she was in Russia and before that in New York, effectively four different countries in six days! She has developed her own way of dealing with the travel and is on her toes all the time. She ignores the advice from all the self-help books and just listens to her own body clock and does what it needs. The only constant is that she needs to be on at 7pm (local time!) for the concert. I asked her whether she ever wanted to stop and take time out, but this does not seem to appeal. She comments that she asked for a break when she was 16, having been performing continuously since she was 8. She asked for six months off but ended up with two. For the first month she loved it and then was bored. Since then she has never had another break and seems to find the lifestyle stimulating. But as she has grown older, she has come to realise that she is missing out on family and friends. She has become adept at choosing her concerts wisely, and she adds that there is not a great deal of difference between doing 100 or 120 concerts per year, but the lower figure gives her more time between engagements, and having now acquired a puppy she now has all the more reason to get home. It is also about choosing the right repertoire and the right performing partners. Whilst she is now settled with a close-knit group of friends, her teenage years were more difficult partly because of the label 'child prodigy'. She remembers a meeting in which her 16-year-old self struggled with the way she was still being marketed as a child prodigy, in the photographs they wanted her to look young but her teenage body did not cooperate. As with most teenagers, Sarah was desperate to be an adult, whereas marketing wanted to keep her as young as possible. Remarkably, Sarah has been with the same management since she was eight, the same core group of people. And she is very grateful to them, because from the very beginning they were very selective about exposing her, not booking too many concerts and allowing her time for school work and breaks. She feels that the way she plays has changed over the years, and that she now listens more during the rehearsal process. In a concerto, she there is a danger that the soloist does not listen to the detail of the orchestral playing and she now explores every score as if it was chamber music. This affects how she begins and ends phrases, for the beginning of the phrase she is accepting something from one of the orchestral instruments and for the ending she is giving the music back to another player. This makes the result more elegant. 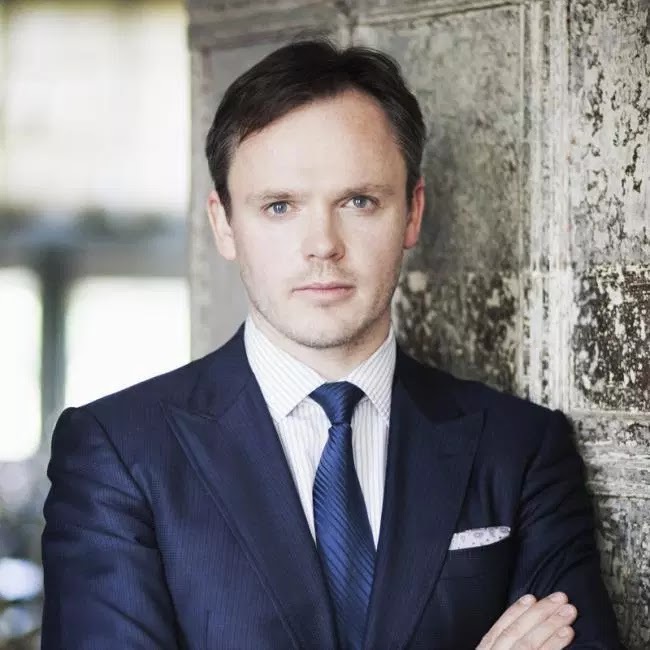 She is also trying to perform more chamber music, though opportunities for this tend to be during the Summer music festivals such as Aspen and Verbier. Most of her engagements are for a concerto and she rarely meets her fellow soloists, who are scheduled elsewhere for a different concerto, and it is only at these Summer events that they are able to get together to perform chamber music. Chamber music is Sarah's favourite form of music making, and she misses not being able to do it more. For some engagements, she now asks if she can stay an extra day and, in addition to performing a concerto, can perform chamber music too. Whilst the Romantic repertoire is the core of what Sarah plays, she introduces a new work every season. She comments that there is so much repertoire for the violin that she does not feel she will ever get bored, it is an endless challenge. Last year she introduced Piazzolla's Four Seasons of Buenos Aires into her repertoire and the year she played Samuel Barber's Violin Concerto for the first time. She has a new commission coming up from Fil Eisler, a composer known for his scores for film and television. This will be his first violin concerto and she and Eisler have been working on it together for six months and Sarah will premiere it in April. Sarah is excited to be working with a living composer, and to be part of the creation process. She does try to perform repertoire written after 1950 but goes by what speaks to her personally. She has grown up with an incredibly loyal group of supporters and fans, and only wants to perform music which has meaning for her so that she has something to say to her audience. In fact, most of the contemporary pieces in Sarah's repertoire have come from personal relationships, either she has known the composer or know their work. For example, she loved Christopher Theofanidis' orchestra piece Rainbow Body and so asked him to write something for her. 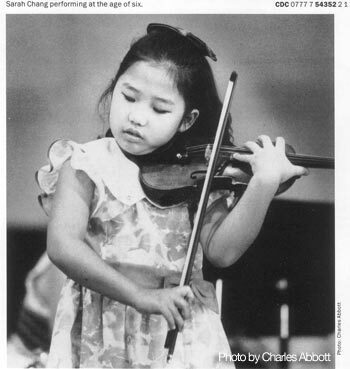 At the age of six, Sarah started studying at the Juilliard School with Dorothy DeLay, and then DeLay took Sarah to Isaac Stern a few times per year. Sarah describes Stern as amazing but tough. With a career starting to take off as a talented child prodigy, Stern was the only person who would bring her back down to earth. She remembers playing the first movement of the Mendelssohn Violin Concerto to him, and he commented that only the first note was in tune! With her head often in the clouds, it was Stern that kept Sarah musically grounded. In fact, the Guarneri violin that she now plays was originally Isaac Stern's. It was only when she was 14 that Sarah grew big enough to play a full-sized violin, prior to that she had played reduced ones. So, when she was ready Stern arranged for a selection of violins to be sent for her to try, four Stradivarius violins, three Amatis, some by Del Gesu and more. She, Stern and the instruments assembled at Stern's New York flat and then went, along with body guards, to Carnegie Hall for Sarah to try the instruments out. But just before they left Stern's flat he went to his walk in safe, where he had his own remarkable collection of instruments and took one out to take with them. Sarah tried the instruments blind, she would play one and Stern would listen, and then he would play it and she would listen. One particularly spoke to her, and this turned out to be the one Stern had brought from his collection, so well did he know his pupil. The next day, Sarah's parents arranged to buy the instrument from Stern and whilst Sarah has her own collection of violins, it is Stern's Guarneri that she plays most regularly. Sarah Chang and Ashley Wass perform Bartok's Romanian Dances, Brahms' Violin Sonata No. 3 and Franck's Violin Sonata at Cadogan Hall, London on Wednesday 13 February 2019. Further information from the Cadogan Hall website.